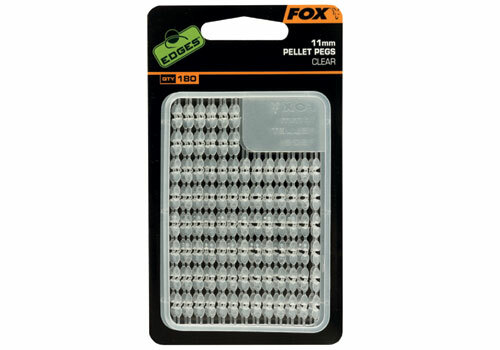 Fox Pellet Pegs have been designed to make the presentation of trout and halibut pellet hook baits both practical and effective. The profile of the Pellet Peg has been shaped to ensure it provides a secure anchor point even when the pellet has begun to soften in water. This stops the hair from pulling through on the cast and during fishing. 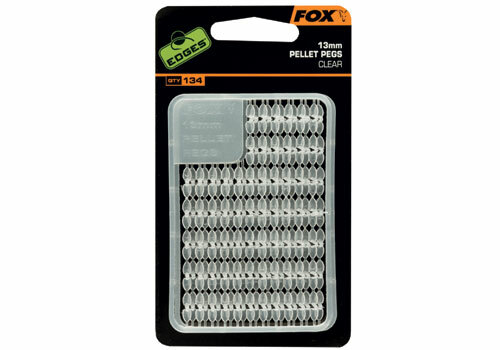 It also prevents the attentions of small fish ‘pecking’ at the bait and working the hair stop out of the loop.The peg will tightly fit the inside of the pellet once the bait has been drilled out using our 1.5mm Nut/Pellet Drill. It will plug the hole and prevent water from soaking into the centre of the pellet; this helps keep the hookbait hard and useable for longer periods of time. 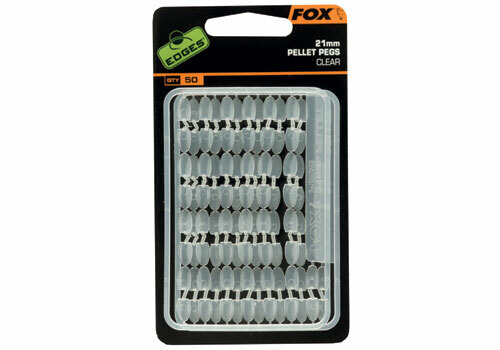 Pellet Pegs are perfectly coloured to match trout and halibut pellets and are shaped to be used either across the ends, or crossways through the centre of pellets.